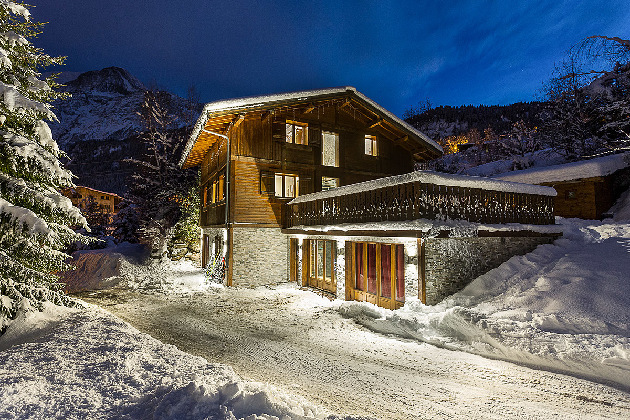 Chalet Estelle is a luxury ski in ski out chalet set in private grounds on the edge of the Aillouds blue piste in the ski area above the picturesque village of Les Houches. Perfectly placed looking out onto the piste the ski chalet remains private and exclusive to its clients, courtesy of its landscaped gardens. Due to the intimate surroundings and fabulous location, Chalet Estelle can provide a Ski in Ski Out experience, unlike any other Luxury Ski Chalets in Chamonix. 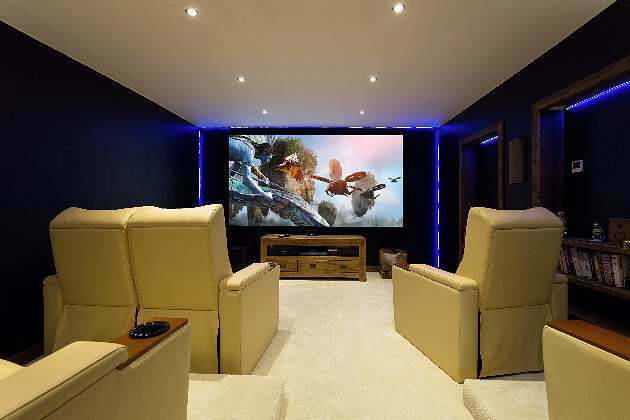 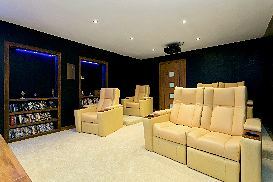 The chalet has a south facing decking with a luxury hydro therapy hot tub, a beautiful centre piece log fire, a Bose iPod docking station, and HD cinema projection with Bose surround sound for the ultimate cinema experience. 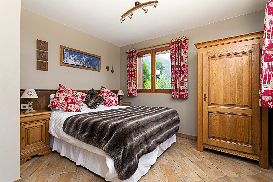 The chalet consists of 5 spacious bedrooms accommodating 10 plus 2 people and each room can be organised as twins or doubles. All bedrooms have en-suite facilities and for your comfort Chalet Estelle provides bath robes and slippers, complimentary toiletries, hair dryers, and heated towel rails. This spacious chalet (250sq metres) includes 3 staff and it is laid out over three floors with 4 bedrooms on the top floor and 1 bedroom off the hallway on the first floor. 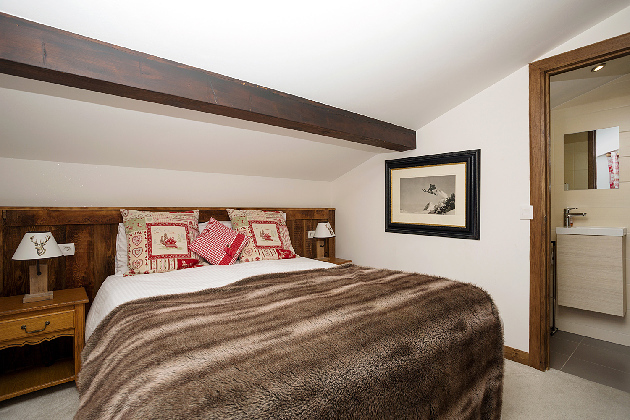 Cots and a Z bed are available on request for children. In the dining room there is a grand oak table with comfortable seating for 12 people. 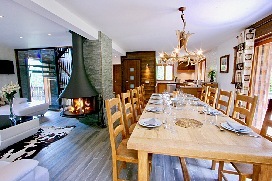 From the dining room you can watch skiers pass the chalet whilst enjoying the cosiness of the log fire. 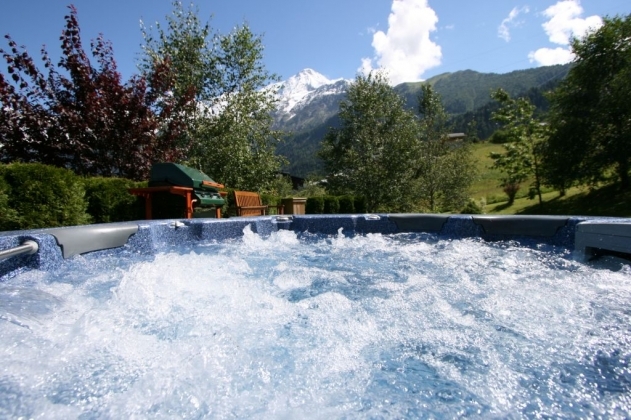 The lounge doors open out onto a decked area where you will find the hydro therapy hot tub tastefully sunken to maintain your privacy, to enjoy champagne and the outstanding views of the pirste and Mont Blanc mountain range. 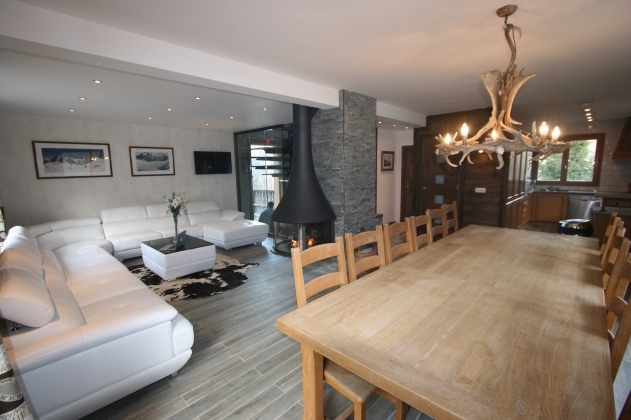 Back inside the chalet there are comfy leather sofas to sit and relax, chat amongst friends and family, watch TV or listen to your favourite music on the Bose iPod docking station. 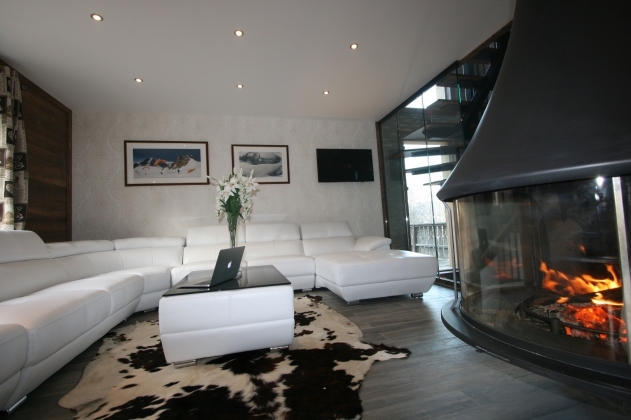 The new modern fire place also means there is now even more space in the lounge with a new open airy feel. 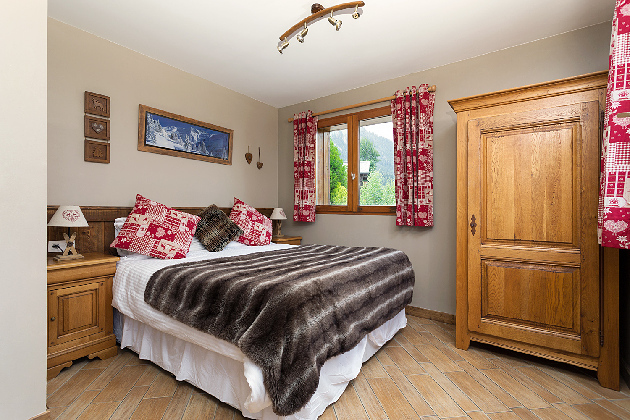 On the ground floor you will find the new ski and boot room conveniently located near the chalet front entrance, with boot dryers for your comfort. 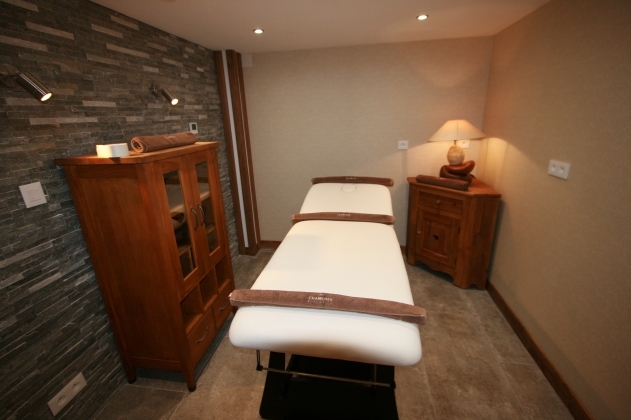 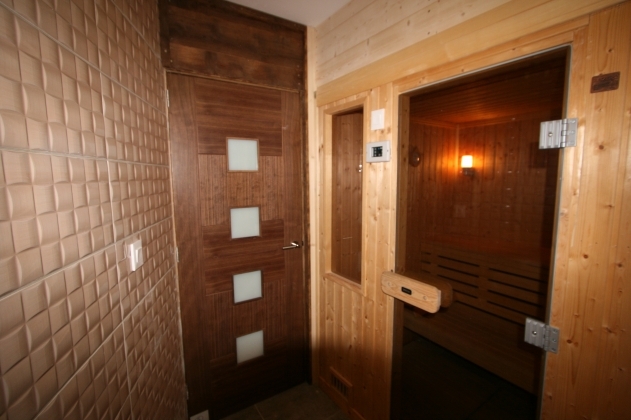 This leads to a large reception hall leading off to the massage room, sauna room and games room. 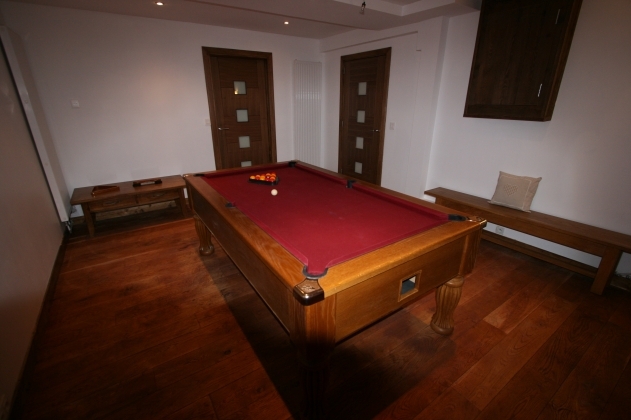 There is a full sized pool table in the games room with games and toys and the new cinema room has a large selection of DVD's. 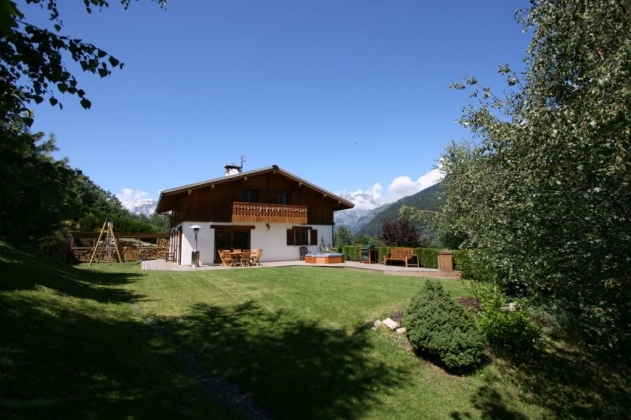 Click for Prices and Availability for Chalet Estelle now. 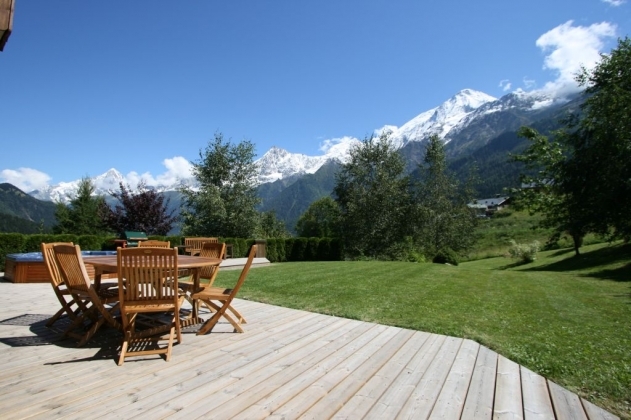 * Breakfast - a full continental affair, with a Hot option on six mornings. 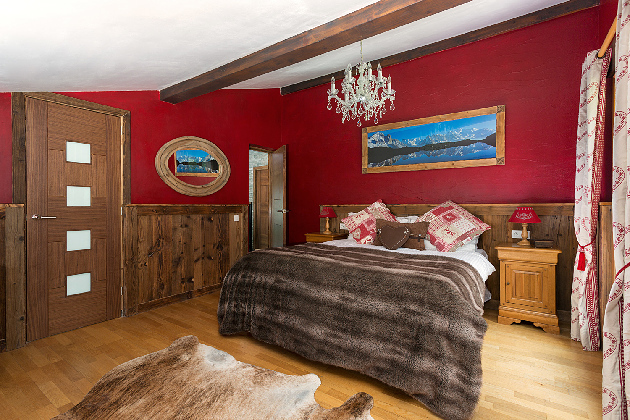 Fresh coffee, fruit juices, cereals, French bread and preserves, and croissants every day. For availability and pricing then email us using the form below.